This app has not worked for the passed month and a half. It has been showing the bus to be parked in the overnight parking garage. It’s very frustrating! Every time I call Durham they tell me to delete the app up to 3 times in a row and that will fix it; I’ve done that about 20x and has been a failure. It only shows where our pick up is, where the bus sits when out of service and what time it is supposed to arrive (which hasn’t changed ever). I’m not sure where the fault lies with this criticism, but this app does not reliably show the bus location. 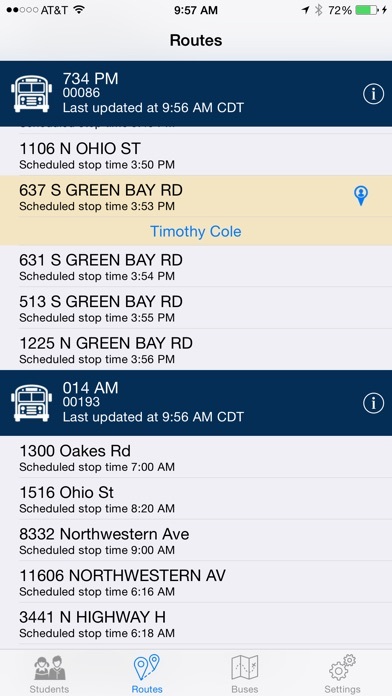 Often, it shows the bus icon parked in its overnight spot on the app while the actual bus is picking up my children. When it does work, it’s great, especially on cold days when I want to minimize my children’s exposure to freezing temperatures. Unfortunately, those are the days when the bus icon never moves and renders this app completely useless. I love this application but, some changes need to be made. This app needs to be more accurate on the location showing side and I think it would be better if it showed the approximate time the bus will arrive at the certain destination and make our life more easier. The app was great when it worked. Please make it work again! I wonder why one creates an app that doesn’t work. I sent feedback for help months ago; So I just called...the solution I was told: “the app doesn’t work in the middle of the day”... ........😵 gee thanks. Our district has used this app for three years now, and the app rarely is working. Let’s be honest, Connecticut you had this “great” idea to start tracking busses for all the great reasons. However, you FAILED tremendously with keeping the app up to date. 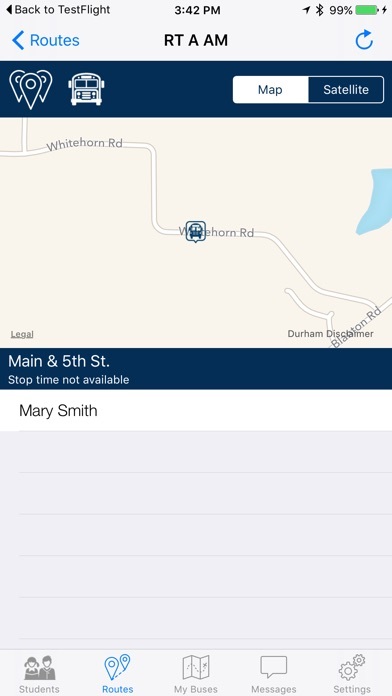 We are NOW a month or so into the school year, my oldest child mysteriously disappeared from the app, no bus is actually trackable and an error message that states No Bus Route Available. I wished you techies would have taken into consideration an app that actually works let alone updates continuously NOT just every 6 months or so. If I could have given ZERO stars I would have. First day of school. Trying to track the bus and the app hasn’t showed me where the bus is. I was hoping I could rely on this app, but its been disappointing. It always says location unavailable, or they’re doing maintenance. That’s just today. First time I used it. “Bus location unavailable at this time”... more like, the whole time. 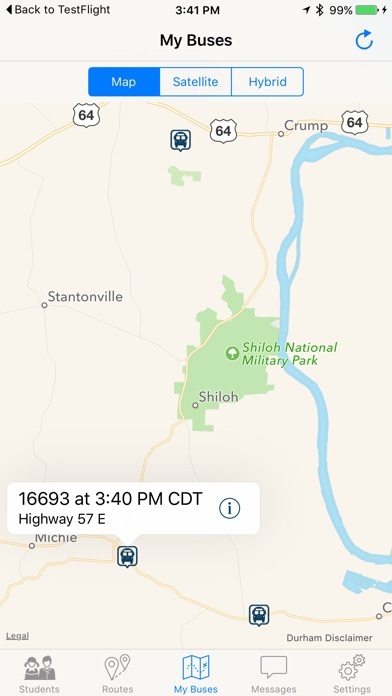 Untrackable “Tracker” app. My other son uses a second/transfer bus to go to his school.. that bus too will not appear in the system. The GPS doesn’t refresh - the bus has been in the same place for over 30 min! When you install the app and you can’t set up, disconnect your phone off of WIFI and try it again. I just discovered this VERY critical step. Once set up, switch back on to WIFI. It is not addressed on any part of the app or description. I hope this helps a few users out there. I have yet to see if it tracks properly for my bus route. It’s been more than a week. But it never showed the location of my child. Once I got a message that bus is running late by 15-20 minutes and when I reach there the bus already left and reached school at that time. Worst app ever. When it works it’s great....? The problem is that this app rarely works. Now the app doesn’t even load at all. Useless. i’ve used this app about 20 times and it actually worked (showed my child’s name and the bus) about twice. Yet another app which appeared to so useful but fell short. Garbage. Thank your stars if it works. Worthless and waste of time. Just like the bus service itself, this app is a joke. The bus my child is actually on and the bus the tracker says they are on are completely different. Worthless! I would have given it a five star but it's not accurate. The bus that is assigned to my kids route for the past few weeks has been parked. So I really can track the bus if it doesn't move so this app is really unless. I could track my kids phone but I'd rather use the app cause it's quicker. So hopefully it can get fix. The app always opens to a map of the entire Western Hemisphere. It takes about ten 2-finger pinches to zoom in and see where the bus is. It would get 5 stars if it opened on a neighborhood scale centered on the current location of the bus. I rely on this to make sure we know when to leave for the bus stop. Very inconvenient that it has not been working. "Too many HTTP redirects"? Great app except when it crashed this week (too many redirections). For anyone still having problems, uninstall and then reinstall and it should work. PLEASE FIX THIS APP! It used to be the best app, now it doesn't work. I would have given it 5 stars if it still worked! PLEASE FIX THIS APP! I relied on this a ton. It used to work so well! Does not work at all anymore. This app works awesome sometimes, and sometimes not at all. And when they do actually do maintenance to fix it, it's when the buses are bringing the kids home! Pick a better time to do maintenance! Worked well for a while and now doesn't work at all! This app is atrocious. If you received a letter in the mail about an app you have to download that helps u track down your child's bus, the instructions given to u doesn't match the setting-up process in the app. Can't even register in this app. Following the directions and it says unable to register. Could not open connection. Worked for 1 day and then stopped. Don't waste your time. We are in our third week of school and the app has yet to show us the location of my child's bus. It also has the wrong pick-up time listed. The bus picks up a full 10 min prior to the time listed. Northville public schools tells me the only way to get timely information on late busses is to use the app, however my kid's morning bus isn't loaded. The school transportation department says it's an app issue, not the schools problem. And I get no response from the app. A little better than the previous review I read. It could find my student, but no bus route was found. Useless. It worked at first when my kids were in 5th grade. It was a decent app and it worked. I say that because I used it. However, starting this new school year it will NOT find my kids "student can't be found". So if designer or Durham cares, THEN FIX IT! It doesn't work and neither does the website. Had to call three different people just to find my child's bus number. Not a lot of faith in this company. I've got 2 kids who ride the bus to and from school. I enter the state, city, each kids student number and last name... To only get the error of cannot find student. No wonder our school system is trying to leave Durham Bus service. Late busses, numerous breakdowns, fueling issues. 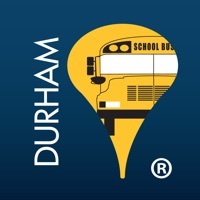 This app would have been nice to see when the kids' bus would arrive because they are so sporadic with times, but like everything else with Durham, this doesn't work either. 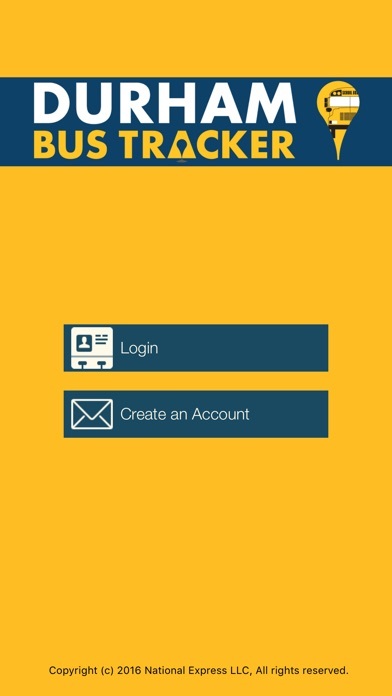 Durham: if a company rep is reading this - your business practices are broken, just like this app and your busses. Bus location doesn't update often enough for this to be truly useful. What good is a bus tracker that doesn't provide accurate updates of where the bus is in real time? It worked great for a week or two, but now I keep receiving errors no matter what I do! I tried deleting app and reinstalling. 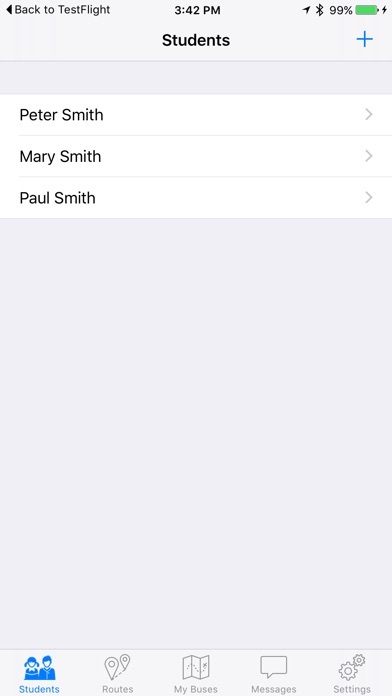 I tried adding my daughters info again, and nothing seems to be working. I emailed Durham but never heard bad.